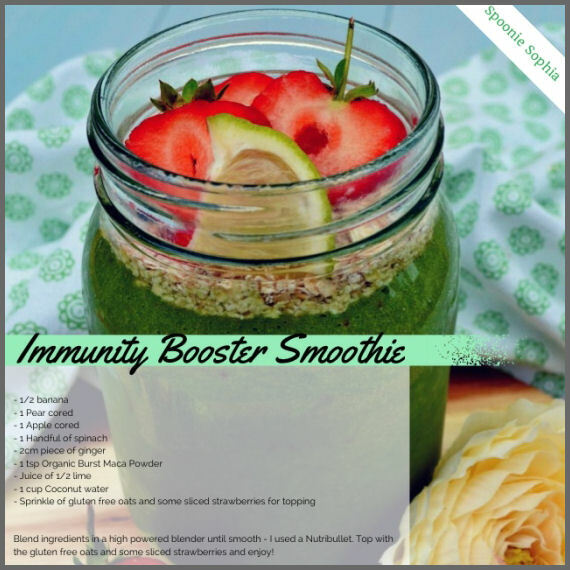 HBloggers Ebook – my Immunity Booster Smoothie! Tabasco’s Goodbye Gluten – Best of The Brunch article – my Gluten-free Sweetcorn & Chilli Muffins. About Time Magazine’s TOP 5: INCREDIBLE HEALTHY WINTER PORRIDGE RECIPES – my Gluten-Free Creamy ‘Caramel’ Almond & Banana Porridge. Minvita – my Persimmon, Orange & Mulberry Green Smoothie. Michaela Loves – Inspiring Individuals Interview.